China's central bank has put the Russian ruble into circulation in Suifenhe City, Heilongjiang Province, launching a pilot two-currency (ruble and yuan) program. 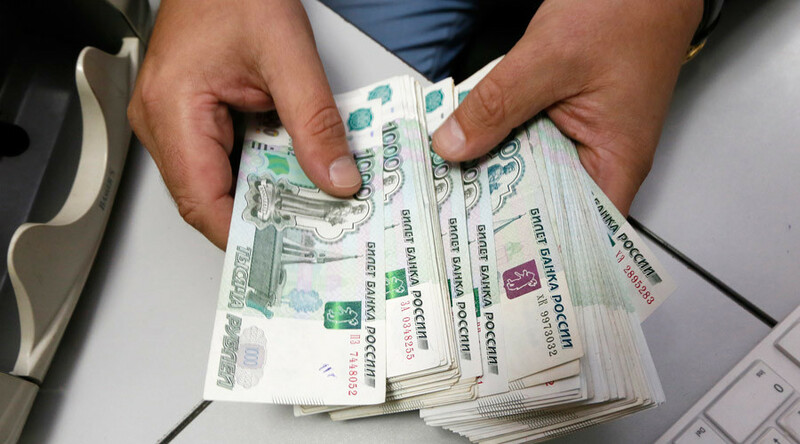 The ruble is being introduced in place of the US dollar. The announcement was made on Saturday by Jin Mei, deputy secretary for monetary policy at the opening ceremony of a trade exposition in Suifenhe, reported state-run Xinhua news agency. The newly-adopted initiative is to promote bilateral trade relations and boost tourism, enabling Russians traveling to the Chinese region to pay for their expenses directly in rubles. This year’s six month Russia-China financial results look promising with yuan-denominated payments reaching the value of $1.32 billion, added Mei. Wu Qinglan, executive vice-mayor of the Chinese city, believes the program guarantees a long-term outlook. “Next, we will carry out dual currency settlement in shopping malls, hotels and restaurants in Suifenhe. All the banks will provide services accomplishing the storage and exchange of rubles,” she said, as cited by the CRI English news website. The initiative will not affect the renminbi. In 2014, the Russian Central Bank and the People’s Bank of China drew up a three-year currency swap agreement, worth 150 billion yuan (around $24.5 billion), securing financial cooperation between the nations in the light of tense relations with the US and EU over the Ukraine crisis. Suifenhe is a major hub in China in terms of trade with Russia and one of the points where Chinese and Russian railway systems connect.